Welcome to the QuickBAS Quick Start Guide. 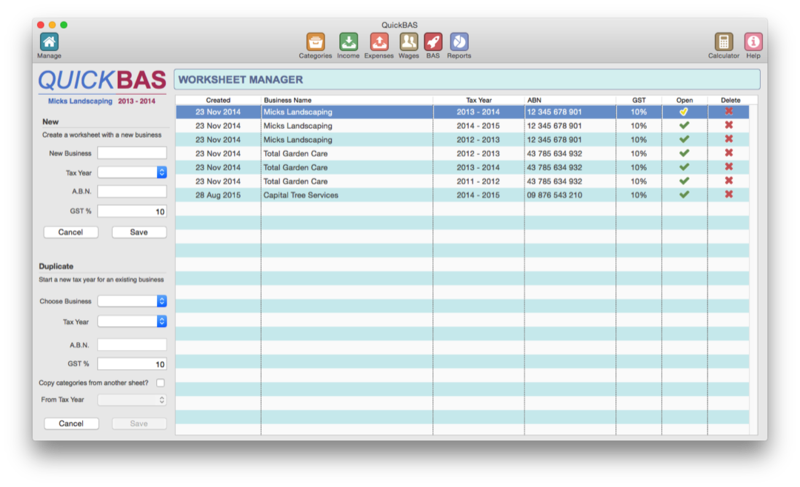 QuickBAS has been designed to make bookkeeping easy for small businesses and sole traders. This page will get you up and running quickly. For more details about each step, go to our User Guide main page and click on each topic. - Click on the BAS Manager icon in the top menu. - In the menu at left, enter your business name, the tax year, your ABN and the GST rate. - Click Save. 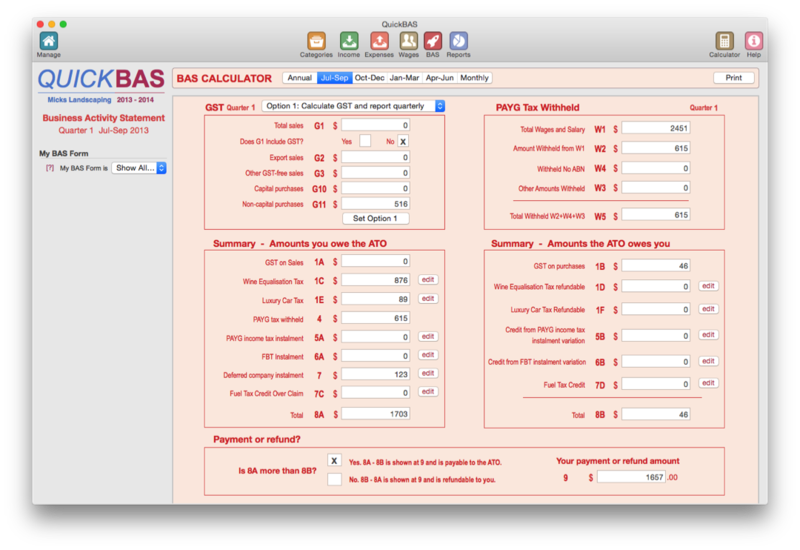 Your new BAS Worksheet is open and ready to use. - Every transaction must belong to a category. - Click on the Categories icon in the top menu. 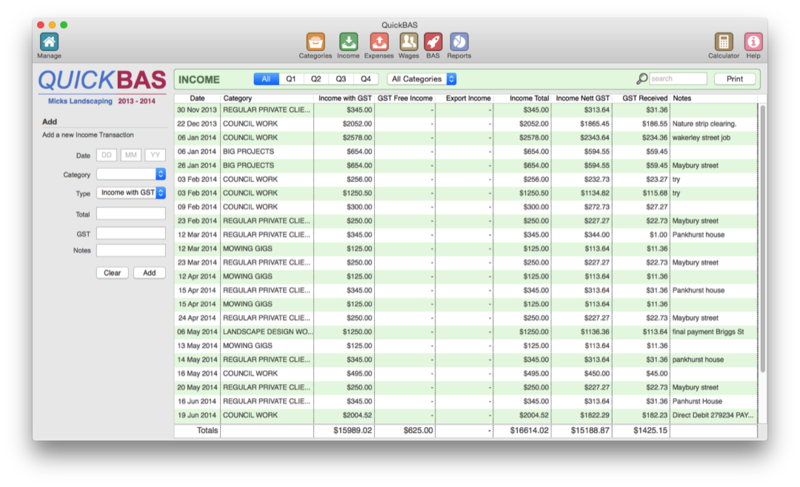 - Click on the Income icon in the top menu. 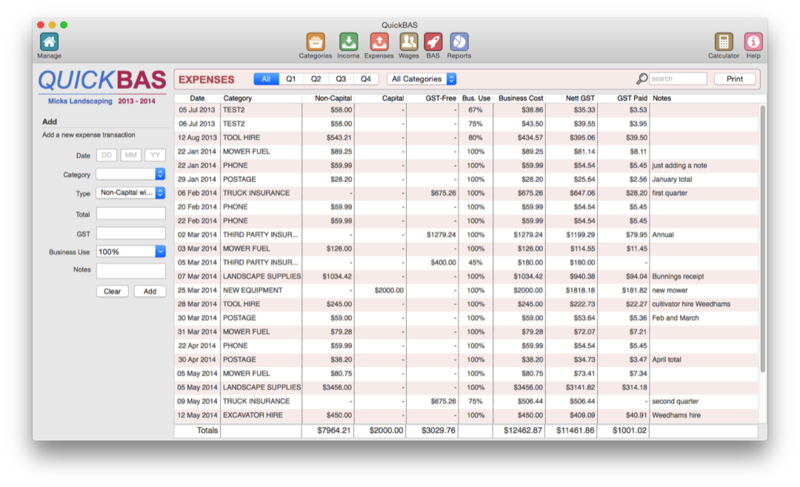 - Click on the Expenses icon in the top menu. - This is only for businesses with employees/contractors/suppliers. 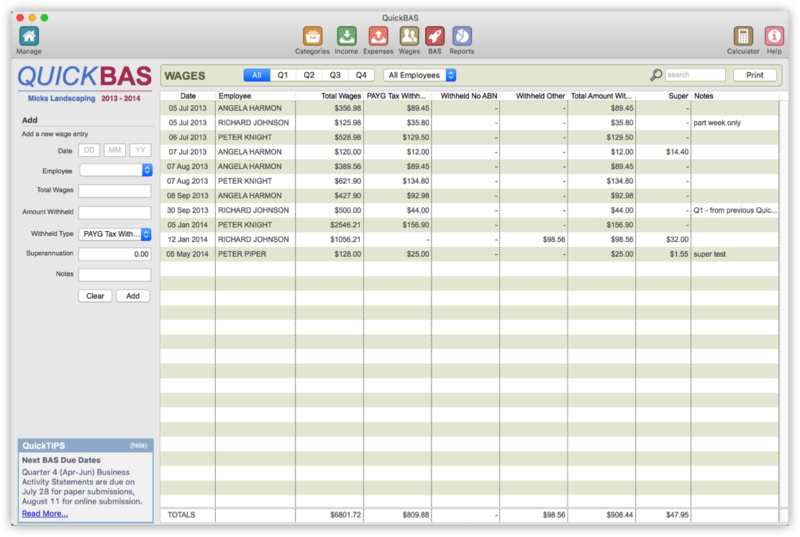 - Click on the Wages icon in the top menu. - Then add wages and any tax withheld from those wages. - Click on the BAS icon in the top menu. - Your BAS is generated, ready for you to fill out your form. 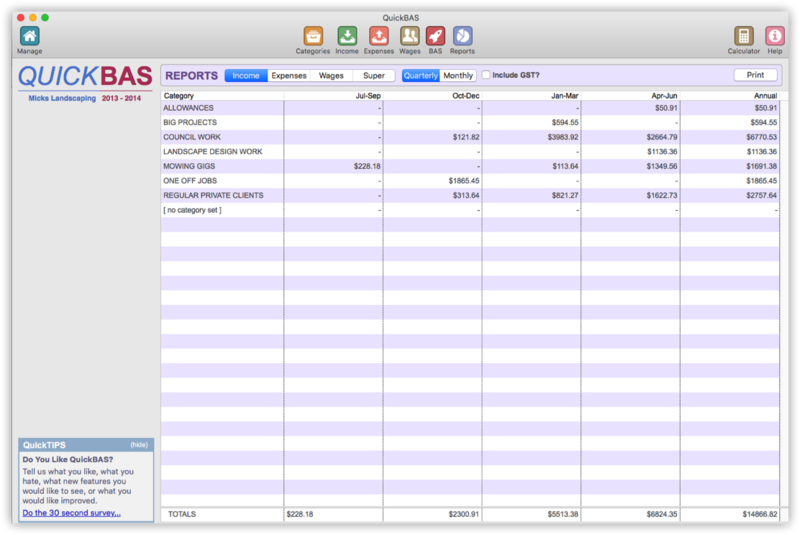 - Click on the Reports icon in the top menu. 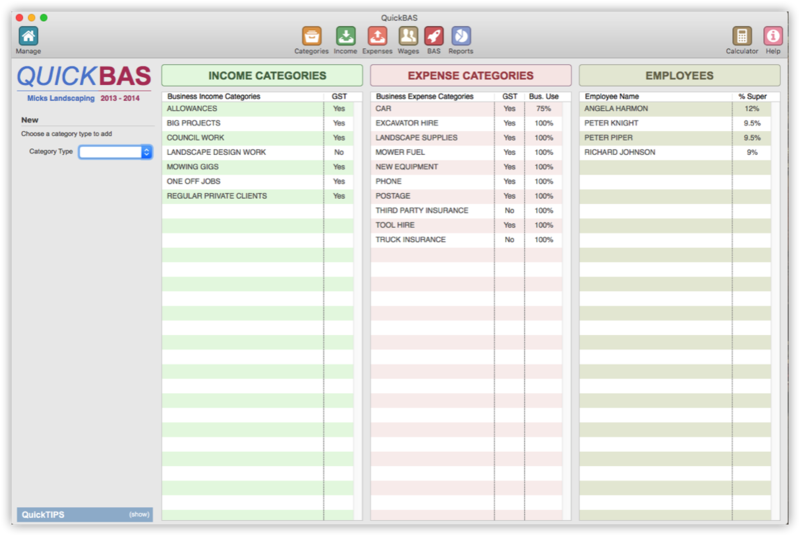 - This can be useful to track expenses and for your annual tax return.